Anders Lyons, 11 months, and golden retriever, Sophie, 2, both sit patiently on Santa's lap Sunday at the Cherryland Humane Society. 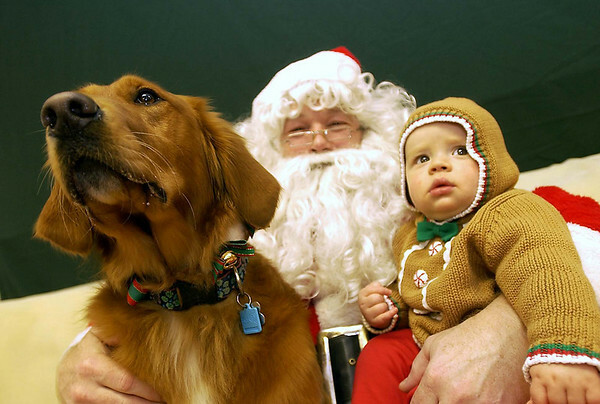 For a donation, pet owners could get a photo with Santa at the Traverse City animal shelter. The Santa Paws open house also featured a pet contest, door prizes and tours of the 14,000-square-foot facility.